Connecting the church in the West to news of what God is doing through nonprofits around the world. Missions Box is a labor of love, using the secular news as a tool to showcase the relevance of Christian nonprofit work and its impact around the world. Increasingly, the Church in the West is being told that it’s irrelevant, that Christians are hypocrites and that nonprofits cannot be trusted. Missions Box does not exist to argue with those statements, but rather to highlight the good works of nonprofits from around the world. Jesus commanded His followers to love God and to love others. James, Jesus’ half-brother, then told Christ-followers that part of pure religion is to visit the orphans and widows. Christians are doing work that the Jesus commanded. Another perspective on Missions Box purpose is that so much of the news around the world pertains to the hardships of living in this world and negativity that imposes in our lives. Life on this planet can be hard, but there are organizations striving to help bring relief. We want to highlight those organizations through the news too. It’s good news and it’s about the Good News. Not too long ago, the only thing you could find on Missions Box were quotes from missionaries from the past and present alike. Although daily quotes are still part of the site, we realized that wasn’t enough. You’ll be able to read the news, get quotes and get information about relevant topics in our essays area. Help spread the word about the good God is doing in the news! This site is updated and run by Gospel for Asia based in Wills Point, Texas. Families and communities impacted by the ministry of Gospel for Asia, the words of KP Yohannan and sacrifice of Christians around the world are tangible and real. What Does Gospel for Asia Do? Founded in 1979, Gospel for Asia (GFA) is a nonprofit, Christian organization that seeks to transform communities through the love of God in Asia. The ministry started with a Tuesday night prayer meeting for the lost world more than 35 years ago in the living room of KP Yohannan and prayer is still the foundation of our ministry today. Gospel for Asia trains national missionaries to minister to others from their own cultures. These workers have fewer cultural obstacles than Western missionaries. Many of the countries Gospel for Asia serves in are closed to Western missionaries and the missionaries supported by Gospel for Asia are ready to suffer for their faith. 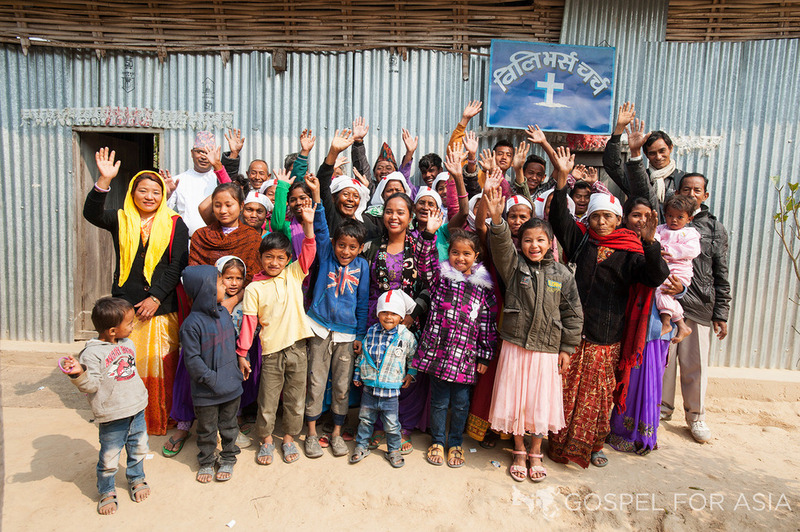 Gospel for Asia has been serving some of the poorest of the poor for more than 30 years. Our partners in Asia reach out to leprosy patients and those living in slums with the love of Christ. GFA helps rebuild the lives of those affected by natural disaster by providing physical and spiritual aid. In addition, GFA-supported missionaries provide an education through GFA’s Bridge of Hope. The impact of GFA on the world is historic and far-reaching. When KP Yohannan first started Gospel for Asia, even he did not envision the breadth and scope of the nonprofit. He was simply trying to find a way to help missionaries in Asia. In this effort, KP authored a book titled, Revolution in World Missions which has more than 2 million copies in print. With so many people reading this book and with its unique perspective on missions, the impact on Christians around the world is hard to measure. The diaspora of ministry, sourced from GFA staff, former staff, discipleship students and readers of KP’s books is overwhelming. The term, GFA diaspora has been coined for those who have been impacted by KP Yohannan’s writings or the work of GFA in such a way that individuals have gone on to begin their own ministry in places where God has called them. The Lord has scattered GFA staff and students around the world to serve in unique ways. There is staff that has gone on to serve in their local churches within the United States or serves in various parts of Asia and even in the Middle East. Thousands of individuals and hundreds of congregations have been impacted by KP’s writings as well, spurring them on to start ministries to refugees, homeless and orphans, to name a few. Many believers from Asia, in nations where GFA serves, have moved into other countries and have begun their own ministry, continuing the growth of a diaspora among the nations. Learn more about GFA and opportunities to serve with Gospel for Asia on our LinkedIn page or you can follow Gospel for Asia on Twitter. You can also get updates from Gospel for Asia on Facebook or get updates from MissionsBox on our Facebook page. You can also discover more about KP Yohannan, GFA’s founder, on his website.